Not-for-profit hospitals, in order to maintain their tax-exempt, or "charitable," status, under section 501(c)(3) of Federal Internal Revenue Code, have long been required to provide a listing of benefits they provide to the community that they serve. The Patient Protection and Affordable Care Act of 2010 (ACA) upped the game a bit, requiring tax-exempt hospitals to create a community health needs assessment every three years. 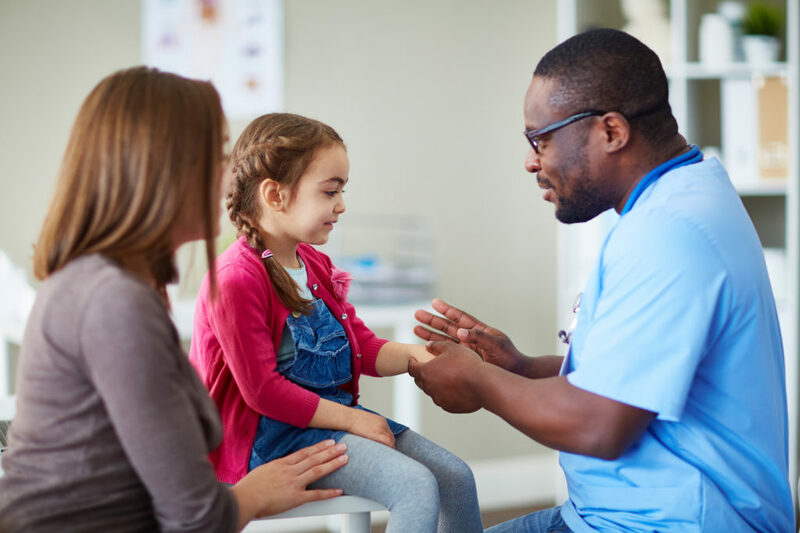 These changes in legislation now require that such hospitals explicitly and publicly demonstrate community benefit through their CHNA, adopting an implementation strategy to meet the identified community health needs. A well executed Community Health Needs Assessment goes well beyond compliance, though, and adds value to any hospital system. The community information collected from a CHNA as well as the 3-year plan developed as a product of a CHNA can be extremely useful for a hospital of any status. Below we’ve outlined seven ways a hospital or healthcare system can implement, use, and find benefit from a CHNA. Breath easy - you can now check off the box next to “completed CHNA” for the next 3 years. At a minimum, completing your CHNA means that, as a not-for-profit hospital, you’ve met the requirements required by law to maintain your tax-exempt status. That in and of itself if a big accomplishment! But as you either attempt to complete a CHNA on your own or look for an outside partner to help, keep in mind that while meeting the minimum requirements is good, there’s a huge opportunity for making the most of your CHNA and establishing your hospital as a community leader and health advocate. Make sure to cover all the requirements set by the IRS, but also look for ways to use the analysis provided in a CHNA to help your hospital grow and improve. Plan for future growth. The statistical data and demographics of a population, especially those showing average age, income, and education, can provide an understanding of who you serve in ways you may have not before understood. This information will give insight into the current and projected growth and change of your community, which can guide your hospital in how to grow and change to appropriately serve your population. The insights gained from a better understanding of your patient demographic can be helpful as you plan for the future, especially when identifying the rate in which you schedule the placement of new urgent and primary care clinics. Support your strategic growth marketing initiatives. Examining the psychographics and spending habits of your community will help you identify the attitudes and opinions of your patient population. It will show you where the patients in your area spend their money and what lifestyle choices they are making that will impact their health down the road. With this intelligence in hand, you will be better equipped to develop marketing promotions that can appropriately speak to their needs and reach them where they are. You also will be able to intelligently analyze your product lines to ensure they align with the psychographics of your patients and see where there is room for improvement. Find ways to better serve your community. Review of your CHNA will give insight into the the values and viewpoints of the residents in your service area. You will find detailed reviews of the health needs they feel need to be met—what they believe they have proper access to and where they see holes in coverage and care. You will also gain an awareness and understanding of your competition. Hear firsthand from the community about the healthcare they receive from the surrounding hospitals and determine if these are opportunities for your hospital to grow and offer these same treatment options. Set a benchmark for your hospital to see now and in the future. Your CHNA is a sure way to discover if the opinions of the community align with the viewpoints of the internal hospital staff about their standing and status in the community. If your hospital staff has the impression of a good rapport with the community, your CHNA will prove whether you are right or wrong. Regular CHNA reporting will also allow for you to access the the impact of previous CHNA results and provide a way to measure if goals are being met. Has the opinion of the community towards your hospital changed over the past three years? Has it improved and progressed or have things deteriorated? Your CHNA is a way to measure goals and the impact of the implementation plan you put into place after the completion of your previous CHNA. Receive an inventory of the businesses, healthcare groups, and not-for-profits in the community. Be able to identify the resources available within your service area for partnership and collaboration in an effort to reach and address the needs of the community. Better than any ole’ yellow pages, this resource will connect you with relevant and useful opportunities for the expansion of the health resources you didn’t even know existed right around the corner from your facility. This means your staff can be more equipped than ever before with ways to support and improve the health of your patient population. Important details from the data that can be noted and discussed in terms of how they affect the community. Experienced perspectives on the community as it compares to other communities. A collaboration of ideas from the community which sets up an outline of priority health issues. While a CHNA is required by law for every not-for-profit hospital, it’s a practice that can benefit a hospital or health system of any size or tax standing. The detailed and insightful intelligence you gain from a well executed CHNA can equip your growth team for smarter, more effective campaign outreach. Your community connection will improve with a better understanding of the demographic and psychographic of your patient population. Lastly, your ability to better serve your community through providing better, more appropriate services and treatments, as well as connecting them with helpful community offerings, will improve your overall standing and goodwill within the population you serve. To use this as a growth propelling strategy, be sure to involve all the teams who could benefit from the intelligence gained in this analysis. Strategic Planning, Marketing, and Business Development teams, all working together, will gain tremendous benefit and insight into furthering growth plans and community health initiatives. Contact Stratasan for more information about we can help you execute a CHNA that can benefit your hospital in many ways for years to come.